As a member of the Child & Adult Care Food Program, we maintain the highest standards in preparing and serving all meals and snacks. Our food program is designed to build healthy eating habits for a lifetime. We are sensitive to food allergies and personally ensure your child has nutritious meals and snacks suited for them. Eating family style meals and snacks is recognized as a best practice in childcare settings of all types. 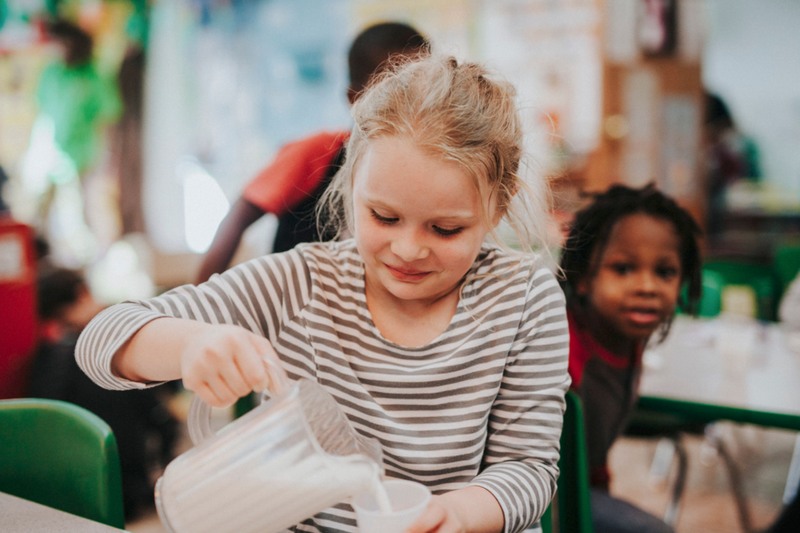 Family style is all about children and supervising adults sharing a meal together, with children encouraged to serve food themselves, develop healthy eating habits for life. 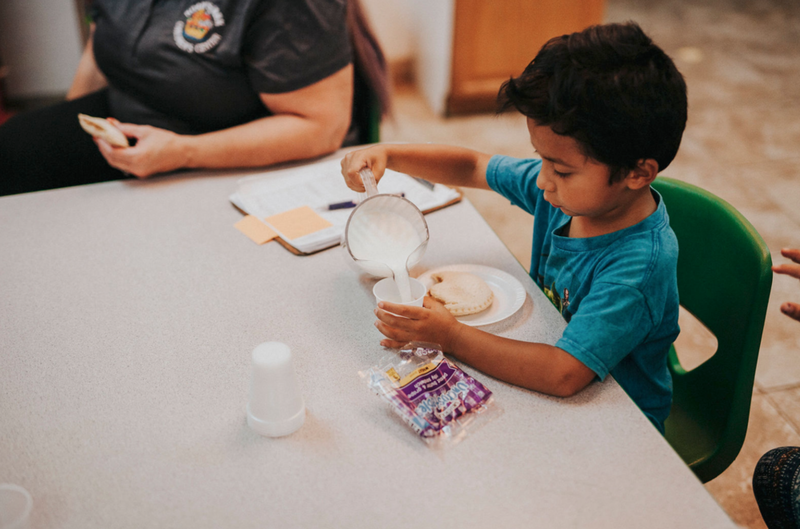 Our program is developed by nutritionists and maintained to ensure all meals and snacks provide our children with the highest quality and well-rounded nutrition.